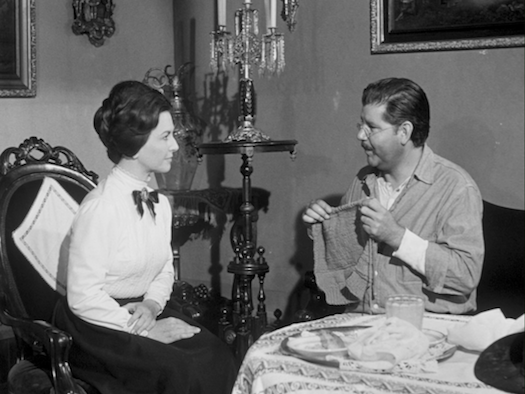 Time to Die (Tiempo de Morir; 1966) is the debut feature of Mexican iconoclast director Arturo Ripstein (Deep Crimson). Ripstein was barely 22 when he directed the film, but he was already working with first-rate material. Time to Die's script was penned by two of the 20th century's most acclaimed Spanish-language novelists, Gabriel García Márquez and Carlos Fuentes. 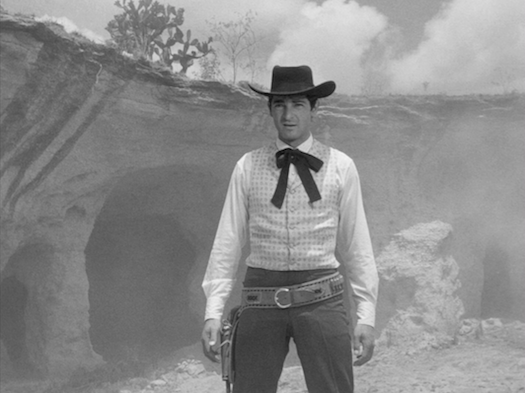 The film is a revenge western, with shades of Clint Eastwood's future classic Unforgiven, although the tone is closer to a cross between the psychological melodrama of Anthony Mann's '50s peak and Monte Hellman's contemporaneous dread-soaked minimalism. Juan Sayago (Jorge Martínez de Hoyos, The Magnificent Seven) is out of prison after 18 years. Juan hopes to re-start life in his hometown, but the sons of the man he killed want Juan dead. Middle-aged, with a kind, soft face, old man glasses, and a sizable belly (meals must have been good behind bars), Juan looks like anything but a cold-blooded killer. 21-year-old hothead Julian Trueba (Alfredo Leal) won't see it -- can't see it -- like that. He's been nursing the idea of revenge for most of his life, and has been brainwashing younger brother Pedro (Enrique Rocha) since he was a baby to enact his plan. Confronted with the reality of his father's killer -- a sweet and considerate man who offers Pedro help before the two are even introduced -- the younger Pedro is conflicted, to say the least. Juan's friends become divided between those who think he should get out of town and those who think he should preemptively gun down the Trueba boys. Juan is interested in neither. He just wants to rebuild his home (which has fallen to rubble in the intervening years) and to potentially rekindle a romance with his old flame Mariana (Marga López). But Julian is relentless, harassing and assaulting Juan in the hopes of provoking a shoot-out. Time to Die has the economical plotting of a pulp B movie, but it boasts a richness of character (thanks, Gabriel and Carlos) and an unpretentious visual elegance (thanks, Arturo and veteran DP Alex Phillips) that makes it stand out from the pack. Long unavailable in the U.S., this one is a must-see. Time to Die comes with a booklet, including credits and a new essay by Carlos A. Gutiérrez. Gorgeous. The packaging states this comes from a new 2K restoration, and the work is evident in every frame. This AVC-encoded 1080p 1.33:1 presentation is free from damage and dirt. Film grain is nicely resolved. Contrast and clarity are both excellent. There are some obvious era-related limitations to the Spanish LPCM 2.0 mono audio (with optional English subtitles), but considering the source, this is a solid remastering. Alex Cox on Tiempo de Morir (HD, 6:51) - The director of flicks like Repo Man and Searchers 2.0 offers an engaging intro, talking about Arturo Ripstein's background, including his work as the assistant director on Luis Buñuel's Exterminating Angel, and about the Mexican film industry in general. 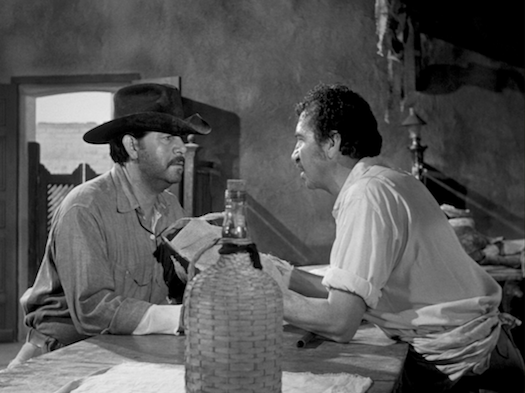 Audio commentary by director Arturo Ripstein and actor Enrique Rocha - In Spanish with optional English subtitles. These two talk like old friends. Lots of good memories and interesting stories. Trailers - for this film, plus Violent Cop, The Dark Valley, Ugly, Dirty & Bad, Pelle the Conqueror, The Quiet Earth, and Soul on a String. Fans of Anthony Mann's "psychological westerns" or Monte Hellman's existential oaters should jump on this forgotten Mexican classic now. A real buried treasure. Highly Recommended.